The Chinese made the world's first bronze chime-bells, which they used to perform ritual music, particularly during the Shang and Zhou dynasties (ca. 1700-221 B.C.). Lothar von Falkenhausen's rich and detailed study reconstructs how the music of these bells - the only Bronze Age instruments that can still be played - may have sounded and how it was conceptualized in theoretical terms. His analysis and discussion of the ritual, political, and technical aspects of this music provide a unique window into ancient Chinese culture. This is the first interdisciplinary perspective on recent archaeological finds that have transformed our understanding of ancient Chinese music. 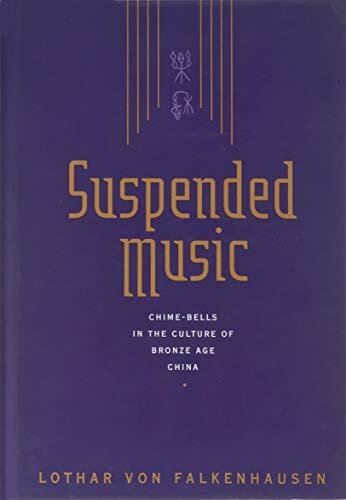 Of great significance to the understanding of Chinese culture in its crucial formative stage, it provides a fresh point of departure for exploring later Asian musical history and offers great possibilities for comparisons with music worldwide.